Dolphins have always been admired for their beautiful form and graceful swim style. But there is more to these marine creatures than meets the eye. They are actually intelligent animals, capable of relating to each other in intimate ways. These dolphins proved their compassionate nature when they discovered a dog drowning. When a Doberman fell into the canal on Marco Island, Florida, there were no humans around to rescue him. No one knew that he had fallen in, and it started to look like the pup was out of luck. Luckily, someone did come to his aid. The beings that helped the drowning dog were not humans; they were dolphins. The dolphins noticed the pup splashing around in the water and swam closer to investigate. They quickly realized that something wasn’t right. The dog was stuck in the canal. 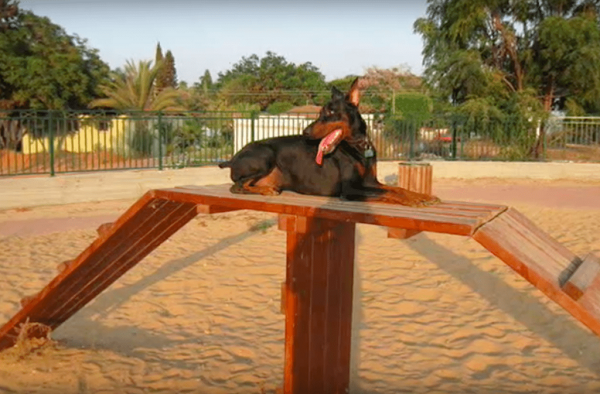 The wall that separated the water from the land was too tall for the Doberman to climb. He became frantic as he began to lose hope that someone would save him. 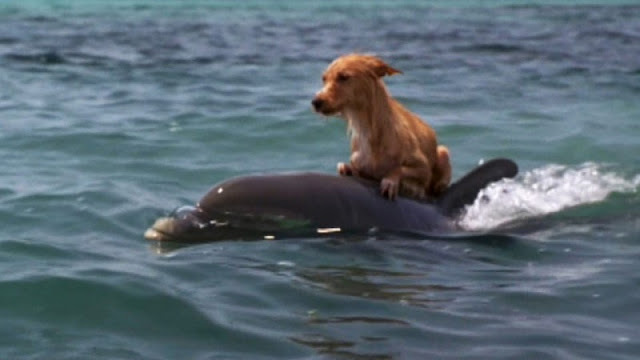 The dolphins may not have had arms or legs, but they found a way to help the dog. They swam around the area making as much noise as possible. Finally, a rescue was under way. Firemen rushed to the scene and brought the dog out of the water. He was quite shaken up, but on the whole he was okay. If it hadn’t been for these dolphins, the dog most likely would not have survived. The firefighters estimated that the dog had been trapped for as long as 15 hours – that is a long time to keep swimming, especially if you are not a marine animal. To make matters worse, the pup had to go all that time without anything to drink. Since the canal was full of salt water, trying to take a sip would have only dehydrated him more. This was one strong dog, but he owes his recovered safety to these compassionate dolphins. They recognized a problem and did whatever they could to restore him to his life on land. This story is a reminder that humans are not the only intelligent beings on the planet. There is a whole network of animals who are capable of forming strong bonds and developing emotional responses. As we continue to learn more about ocean life, we can build a closer community with these creatures.